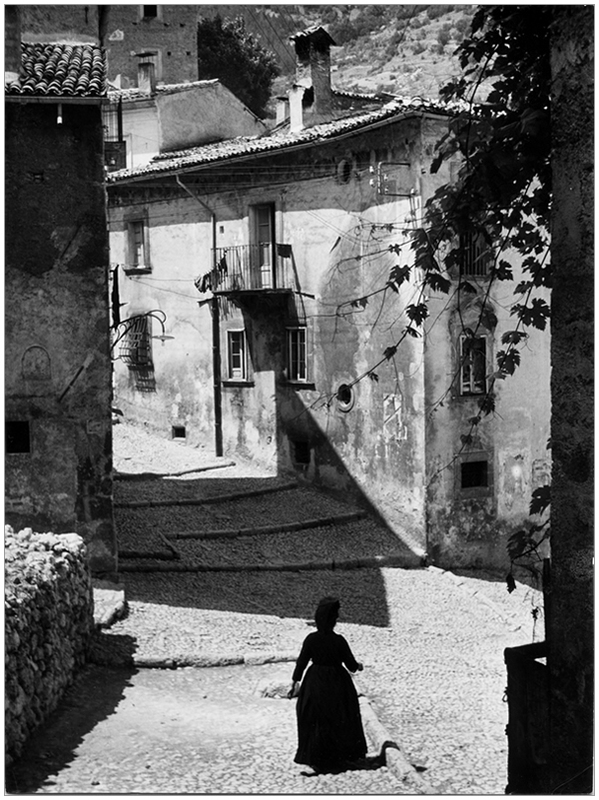 Hilde Lotz-Bauer (1907-1999) was a German photographer best known for capturing the art and architecture of Florence using glass plate cameras. She also pioneered street photography, immortalising the lives of ordinary people in 1930s Italy with her portable Leica. She travelled to some 100 villages and towns throughout Italy and Sicily, capturing some 7,000 images. Often her subjects seem unaware of her presence. Her work is, as maestro Gianni Berengo Gardin has said, an early example of photojournalism, at times even before her close contemporary Henri Cartier-Bresson. These pre-war compositions are informed by her art historical training and aesthetic sensibility and a strong feeling for the harsh life of women in remote hill villages. Commissioned in 1939 by Friedrich Kriegbaum, director of the German art historical institute in Florence (KHI), Hilde documented the city’s medieval and renaissance heritage. She photographed Ammanati's jewel, the Ponte Santa Trinita, before the Nazis destroyed the city's bridges on 3 August 1944. In the late 1970s, Hilde’s photos were shown for the first time in Florence, Bonn and London to critical acclaim. In 1993 she collaborated with photographer Franz Schlechter, who restored and printed 80 of her pre-war images of Italian people, landscapes and towns for a solo exhibition at Mannheim’s Reiss Museum. In thanks for his efforts, Hilde presented him with some 7,000 of her pre-war Leica negatives. Since then, he has been digitally restoring them. Some 80 years after they were taken, a selection can now be seen on his website. Art historian Tamara Hufschmidt created an online exhibition for the KHI to mark Hilde's centenary in 2007. She then worked with Angelo Cetrone, mayor of the Abruzzo town of Scanno, to mount the first-ever exhibition of Hilde’s images of local women, taken in the 1930's.